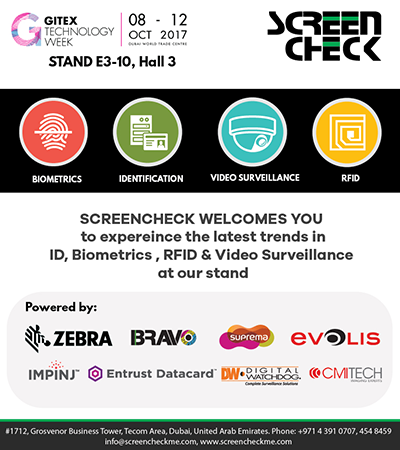 Horizon Informatic Trading is the branch of ScreenCheck Middle East who is the Distributor of World’s leading brands in card printers, biometric readers, Access Control equipments, RFID readers, CCTV cameras etc. In Saudi Arabia we distribute Zebra, Suprema, Impinj, Bravo, Tiso. Edikio etc which are the market leaders in their domain. We provide turnkey solutions in Access Control, RFID based tracking (assets, people , documents, inventory), Attendance management, ID card issuance, Visitor management, Audio Visual Solutions , IT infrastructure development, Video surveillance and Digital signage. We are proud to say that we are part of Centena Group. Centena Group is Head quartered in Dubai and offices in Singapore, Srilanka, india, Oman, Kuwait and Saudi Arabia success fully invested and developed companies in Marine navigation technologies, Life Analytical Science, Educational Solutions, Industrial Automation and Identification and IT Solutions. Largest stock inventory in Saudi Arabia in card Printers, Biometrics, RFID etc. We distribute world’s leading brands in Identification, Biometrics, RFID, Video Surveillance with a vision of being a one stop point for all our dealers for their products requirements.